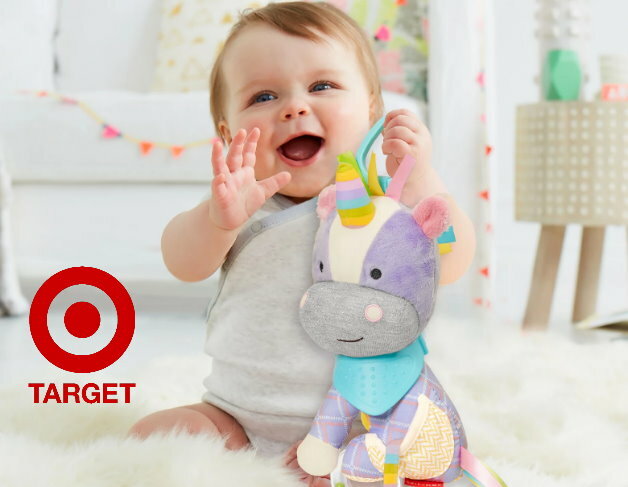 This week thru February 16th, you can get a FREE $10 Target Gift Card when you spend $50+ on select baby toys in stores and online at Target.com. Choose from many brands including Baby Einstein, Infantino, Bright Starts, Disney Baby, Sassy, Skip Hop and more. 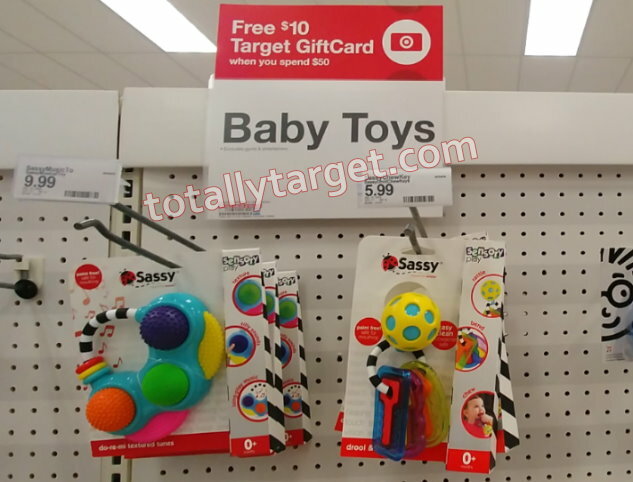 There are also quite a few different types of baby toys to choose from as well – soothers, pacifiers, puppets, mobiles, stroller toys, crib toys, stuffed animals and others but the offer does exclude Baby Gyms and Entertainers. Whether shopping in stores or online, no coupon or code is needed – the gift card will automatically be added to your cart or prompt at checkout once you meet the $50 spending requirement. If you are shopping online, shipping will be FREE, and as always, if you have a REDcard you will also get an additional 5% Off.